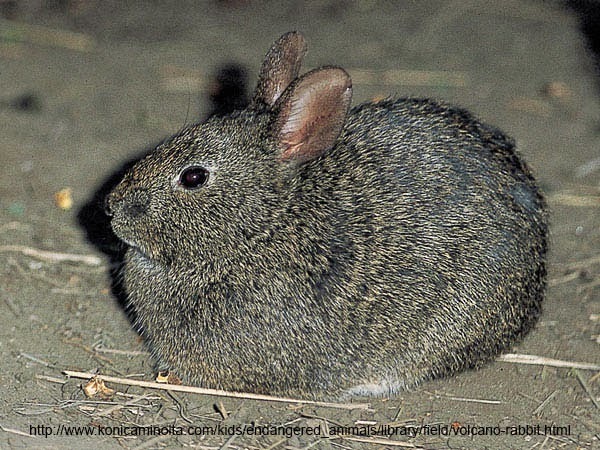 Romerolagus diazi is a small rabbit which can be called the volcano rabbit of Teporingo. The volcano rabbit lives on volcanoes. 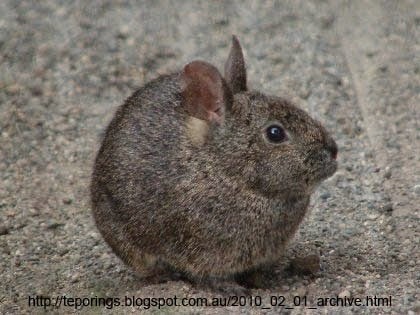 It is a very small rabbit, weighing only about half a kilogram fully grown. Its dark coloration is a result of blending into the dark volcanic rocks in the habitat in which it lives. Its tail is so small it is not visible to the eye. The volcano rabbit is found on a few volcanoes to the south of Mexico city. It is the worlds rarest living rabbit.